Zazie Beetz, Zachary Quinto, André Holland and Melvin Gregg are the stars of director Steven Soderbergh’s new drama, High Flying Bird. Right away, I like the rhythm and flow of this trailer edit. It’s giving me HBO’s Ballers vibes and a little hint of Entourage – another HBO show. I guess that’s why I first thought this was a TV series. I want to see precisely what the intriguing yet controversial opportunity is and how far it gets. I also just really like the title, ‘High Flying Bird’. Lastly, in reference to 0:19 in this trailer, when was it agreed that Basketball was the ‘sexiest sport?’ Surely football / soccer is the one. Kyle MacLachlan, Michelle Ang, Bill Duke, Glenn Fleshler, Sonja Sohn, Caleb McLaughlin also star. 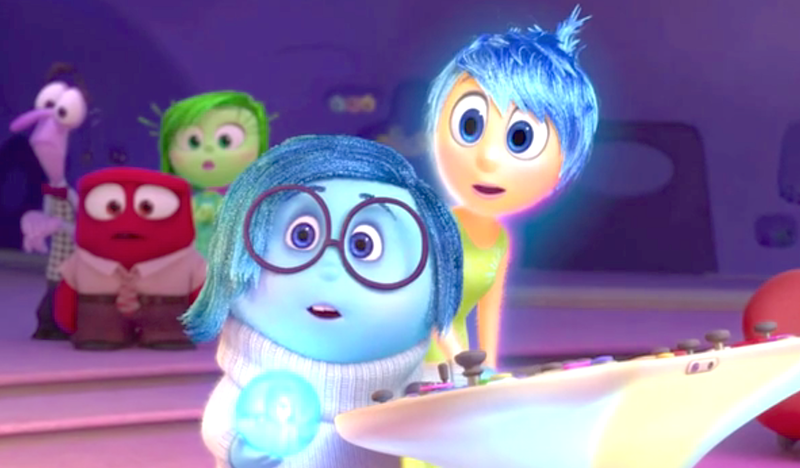 Inside Out is an intelligent animated film about a young girl (Riley) and her emotions. Particularly how Joy, Sadness, Fear, Anger and Disgust try to agree on the best way to get through Riley’s days after her surroundings change unexpectedly. Directed by Pete Docter and Ronnie Del Carmen; Amy Poehler, Mindy Kaling, Bill Hader, Phyllis Smith and Lewis Black provide the key character voices. Being an animated movie, cuteness was always likely; but my, oh my is Sadness the cutest! Watch it for a little education on how memories work, why each one is important and Amy Poehlers wonderfully hopeful voice.